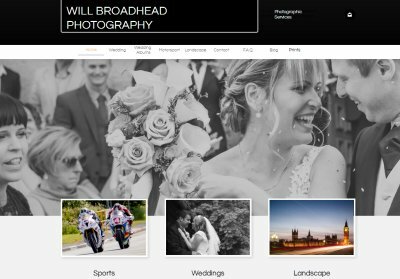 Hi, my name is Will Broadhead and I am a photographer based in Oxfordshire, but always delighted to travel for my art. 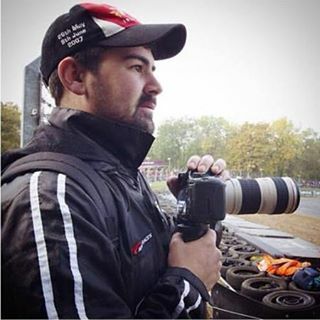 I specialize in Motorsports and Wedding Photography, as well as having a personal interest in recording images of the beautiful world around us. Capturing unique moments on film excites me, whatever the subject. I am fully insured, media accredited and professional in the way I conduct myself. I believe I am in the business of capturing memories - regardless of if it's at the track or in the Church - and pride myself of always having an empathy with my subject so that I can capture 'that' shot. Photographs should tell stories, I would love to tell yours. My photographic style: Reportage, story telling photography. I believe it is my job as the photographer to capture special memories for a lifetime, to put into print those special, natural moments, that really tell the story of the day. My greatest strengths: Having an eye and instinct for capturing fleeting special moments. My other job as a motorsports photographer has enabled me to shoot fast and adapt very quickly to what is happening around me. It has also taught me to always share some empathy with whatever subject I am shooting, that way you get a feel for what's about to happen before it has taken place. I have been in photography: 3 years now, although I've always had a fleeting interest in the art throughout my life. My photographic skills: Good understanding of natural light, as well as shadows. A large cross section of skills developed shooting lots of different subjects, empathy to a clients needs and a customer service based background in my previous life to ensure the client is always first. My personality: Relaxed and easy going, but organised with it! My previous career in customer facing management means I can talk to anyone and help put nervous people at ease and a really obvious passion for what I do. Oh, and if you asked my Mother she would probably say cheeky!! Geographic areas I cover: I live in Oxfordshire but one of my favourite parts of the job is seeing new places, so no limits really! My motor racing photography takes me all over the world, so travel for me is part of the appeal. I found inspiration from: Cheesy, but my Father. He was exceptionally driven in all he did and made a success of several different careers throughout his life. Skill is one thing, but it is useless without a can do attitude and making your own luck sometimes. Equally the thrill of capturing a really special image, or the smiles (or tears) of clients when they receive their finished work is inspiration on its own. Success in photography: Selling my first photo was a huge milestone. Since then my first and subsequent press passes, and becoming regularly published. My interests outside photography: Motor racing, architecture, music, cycling, engineering, cooking - I am the sort of person that can get interested in just about anything and love to learn new things constantly. Future plans: To continually develop as a photographer, the subject is so vast and I firmly believe you are never done learning. I would like to start to achieve some photographic qualifications and to win some awards. But most of all continue to delight clients with the service I provide.